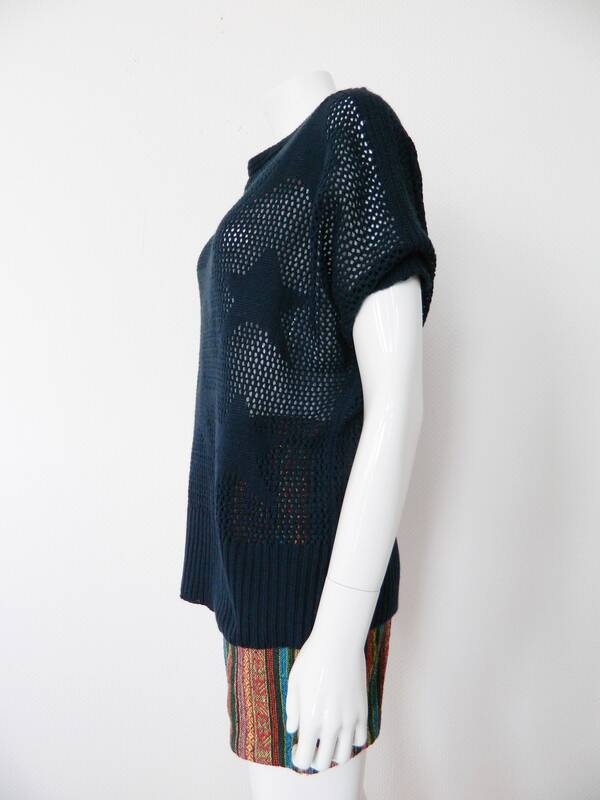 Light sweater with short sleeves in dark blue. 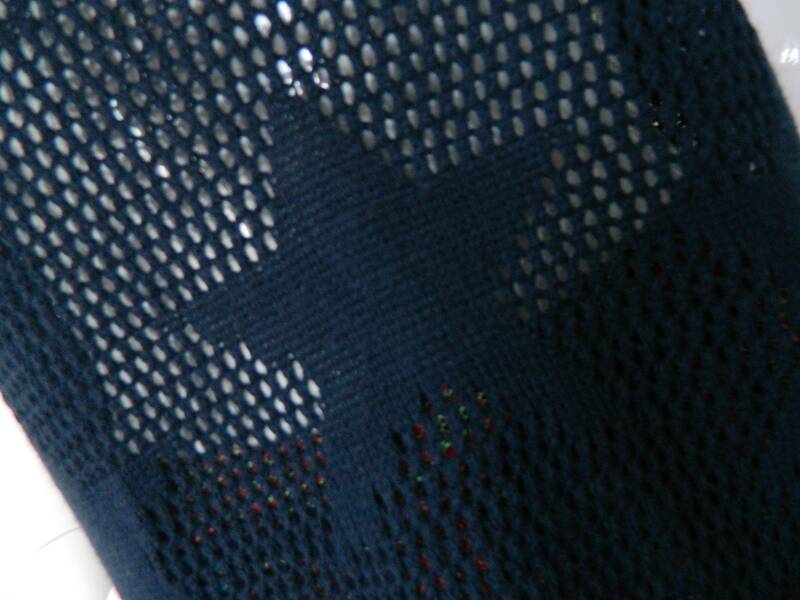 Woven star pattern. 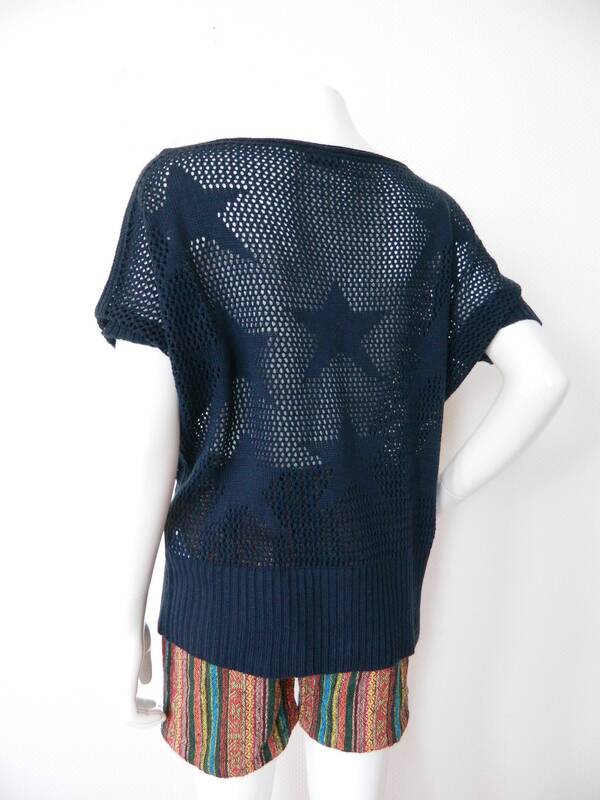 Wide sleeves (BAT) make the sweater look very casual. Very good vintage condition. 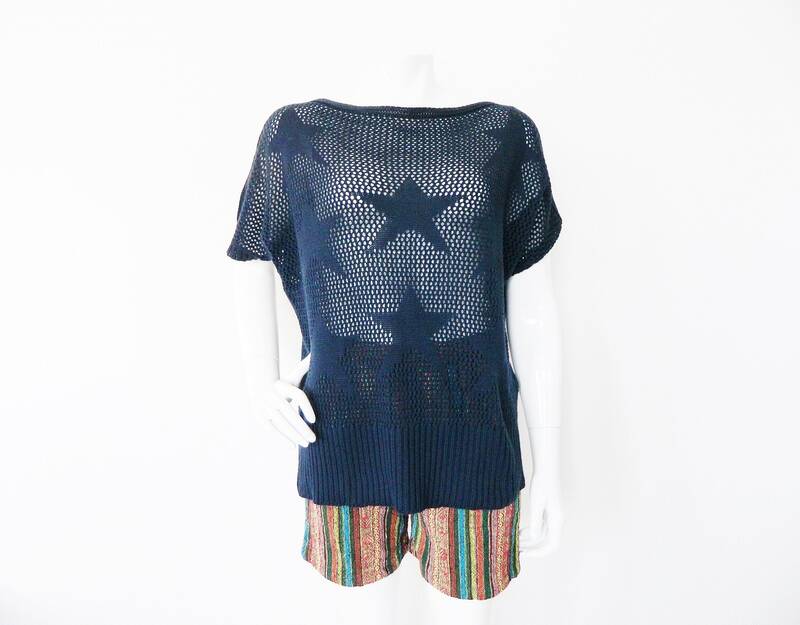 Sweater with short sleeves in deep-blue with "star" pattern. Width Sleeve (BAT) Let the sweater look very careless. Very good vintage condition. 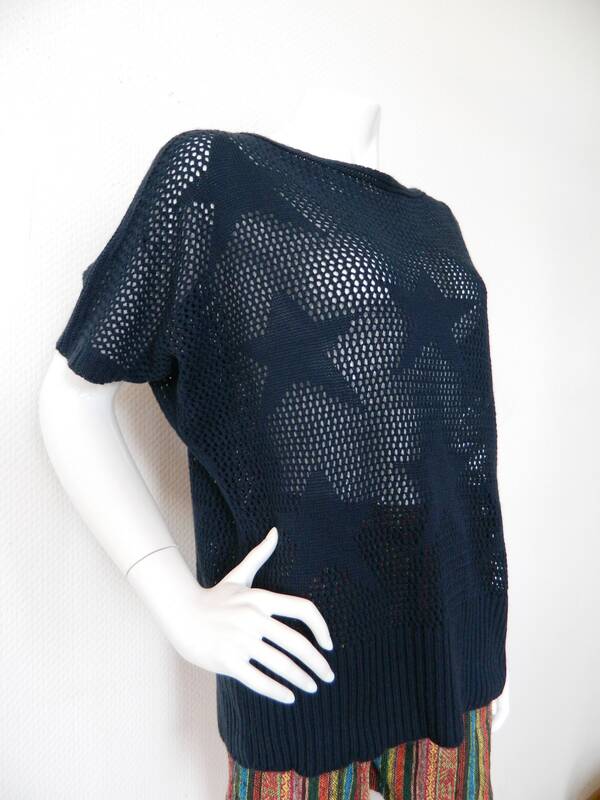 Length 65 cm, 25 "
Chest approx. 55 cm, 22 "